Being able to take a shower is supposed to be a relaxing part of the day. Unfortunately, for many elderly or disabled people, it can be a difficult task. The idea of falling in the shower is terrifying for some. It can result in painful and serious injuries, especially for seniors. Caregivers and elders interested in shower seats deserve to have a comprehensive guide of the ins and outs of bath benches and shower chairs. 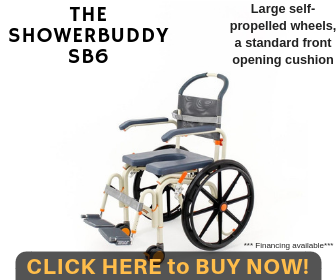 Not only will we cover the reasons why you may want to consider a shower chair as an investment, but we'll also give you our opinion on the best shower chairs on the market and answer any questions that you might have. 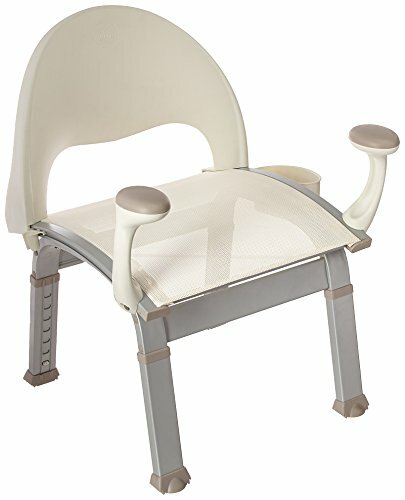 What Are Shower Chairs and Bath Benches? Who Will Benefit From Using Shower Chairs and Bath Benches? When do you need a shower chair? What Is the Best Shower Chair? 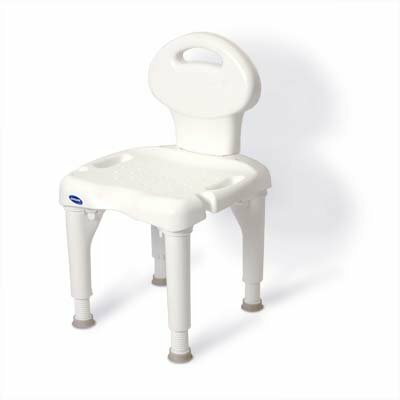 A bath bench or shower chair is exactly what it sounds like. 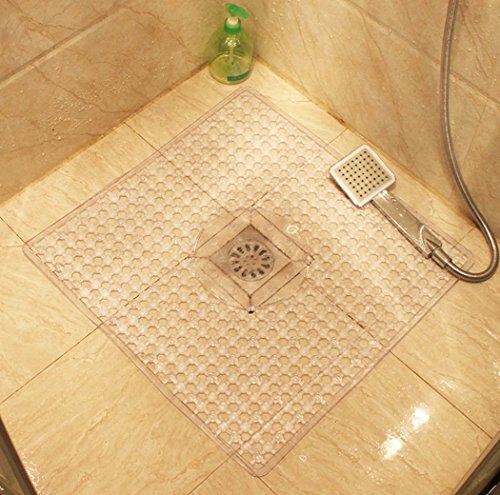 It is a piece of safety equipment that seniors or disabled people can use to minimize the risk of falling in the shower. These benches can be height-adjustable and are usually manufactured to be slip-resistant with materials that will not corrode under water. Those who will benefit the most from using a bath bench are those who have difficulty standing in a shower for long periods. Equally, it is helpful for anyone who may be at risk of falling in the bathtub. Users of shower chairs are generally elderly people. As you age, your body becomes more prone to injury in case of a fall. With arthritis and other health issues, it can be difficult for older adults to take showers without some kind of assistance. 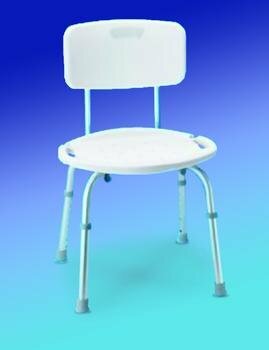 Shower chairs can also be great for people who have conditions that can not allow them to stand in the shower. The decision to invest in a bath bench or shower chair is one that most people take seriously. How do you know when it’s time to invest in one yourself? Well, if you are a person with limited mobility, it should be a consideration. The truth is that if you feel like a bath bench is going to improve your quality of life, then it’s time for you to start looking into one for your home. There isn’t a bad excuse for having one installed in your home. If you need one, you will benefit from it. This chair is relatively simple and easy to use. While some reviewers said that it was easier to remove the back than to put it back on, the adjustments and assembly were relatively easy to follow. While some chairs come with complicated instructions, this one allows for a tool-free assembly that many people prefer. It’s easy to set up and easy to start using. With a high weight capacity, it can fit just about anyone. Comfort and practicality come first in this shower chair. It is lightweight and easy to move from place to place without sacrificing its sturdiness. When you sit in it, it doesn’t wobble or feel ready to tip over. It’s designed for the comfort of larger patients. Moen designed this chair with comfort in mind. Like every chair on this list, it delivers when it comes to offering its customers a study chair and the independence to bathe on their own. One of the praises given this particular chair is its curved seat and built-in handles. This allows one to get in and out of the chair with ease. If you have balance problems, then this seat will work wonders. In addition, you can expect it to hold up to 400 pounds. This is a great feature for those who are a little over the weight limit for other chairs. If you don’t need the arm grips, you can remove them, so those who would find them inconvenient won’t be bothered by this feature. 17.3" x 6.5" x 19.9"
When looking at the Teak Shower Bench, the first thing that you will notice is how elegant and beautiful it is. Most of the chairs on this list look practical. While this is no fault to any of them, this bench is striking. Not only does it look beautiful, but also the wood is durable, comfortable and resistant to water. You can keep it in or out your shower. Magazines have featured this striking bench before. 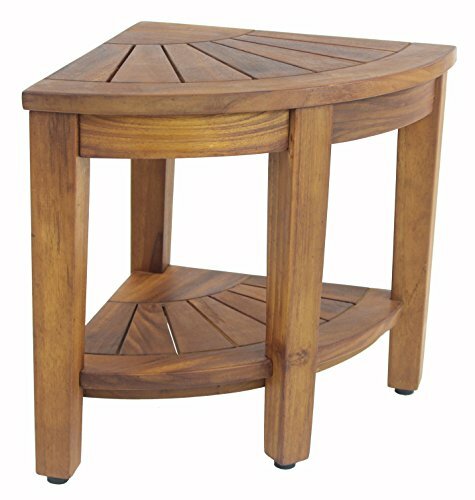 If you love the look of teak, then this bench will stand out among the others. It also holds up to its promises in being sturdy. With a five-year warranty, you don’t have to worry about the cost if something happens to it. This chair not only comes with a removable and adjustable back, but side grips for your balance and comfort. Made with high-quality materials, it is easy to clean and is resistant to rust and corrosion. As a bath chair, it fulfills its purpose. It’s comfortable and easy to sit in while you shower. The only problem that people report is that when you adjust the legs for taller individuals, it can become more difficult to fit into smaller tubs. This is a problem with many chairs, however. If you are taller, then you have to take into account how the chair might fit in your particular tub. The answer depends heavily on the particular person. In most cases, if you have any trouble standing in the shower or have concerns about slipping in the bathtub, then they can absolutely be necessary! They are your best defense against a dangerous fall. For persons with a medical reason for having one, they can also be necessary. Like the question above, this one doesn’t have a simple yes or no answer. It depends on your insurance provider. Keep in mind that all insurances have different requirements, policies, and coverage. For those on Medicare, however, bathroom chairs and other accessibility items are not covered. How much does a shower chair cost? If you aren’t covered under insurance, the prices of shower chairs come in a large range. You can find them for as little as $30, whereas more high-priced chairs could cost you upwards of $500. However, the average cost tends to be below $200. How to use shower chairs correctly? First, follow the guide on your particular shower chair. Then, to increase safety, use a slip-resistant mat and make sure that your chair is stable before use. In some cases, your caregiver may need to show you how to use it. How do I clean a shower chair? Cleaning should be simple. Use mild soapy water and avoid using anything abrasive. Some equipment might need special care, however, so please refer to any manual provided with any of your purchases. There are several different types of shower chairs on the market. The higher priced chairs are generally installed into your shower and are not removable. These can pivot or allow for further mobility. The cheaper stools or benches are removable and tend to be of a simple design. These are usually made from plastic or aluminum. The middle range offers more features. These chairs are made from a variety of materials and come in several colors. In addition, they may have grips or adjustable backs and legs. Owning a shower chair has more advantages than disadvantages. First, it improves your overall safety in the shower. It gives some privacy and independence to people who cannot otherwise take a shower on their own. Keep in mind that there is no better way to get clean than in a bathtub or shower. Sponge baths and other methods just don’t cut it! Cleanliness is important and having a shower chair means that you don’t have to miss out. Equally, it simply improves your quality of life. No one should have to struggle in the shower, or be forced not to take one. Shower chairs give people control of their life again in the simplest ways. One con in purchasing a shower chair is that your insurance may not cover it. 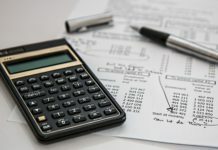 Even if it is medically necessary, you may still have to pay out of pocket. If price is a problem, this could be another disadvantage. However, there are many different price options, including more affordable chairs. Another con is that the installation can sometimes be difficult, and different benches may not fit all showers. Vive is one of the most popular brands for shower chairs. Its shower chairs come in several options. All are easy to install and put together, with nonslip leg caps. They are resistant to corrosion and come with several specifications. Some are adjustable, while others are simpler. You can choose from bath seats to transfer benches. If you need a handle or a back, there are options for that too. Platinum Health offers several different shower chairs. One of its most popular options is the bathtub swivel chair that allows for pivoting while bathing. Additionally, they have padded shower chairs. Some of these options may have padded backs while others may not. Some of these models even recline or contain a commode chair. Duro-Med is a popular medical supply brand that offers various shower chairs. These include adjustable shower seats that can hold up to 300 pounds. They may have adjustable arms and backs. In some cases, even removable elements. They even offer a folding bench model that allows you to store your bench easily. Their seats tend to have a simple, yet effective design. As with the other brands, Nova Medical has many models available. For smaller spaces, a bath stool may be more effective for your situation. In addition, they have products with or without a back and some with adjustable elements. You can also choose between heavy duty and lighter models, depending on your needs. Many of these are molded plastic with an aluminum frame. 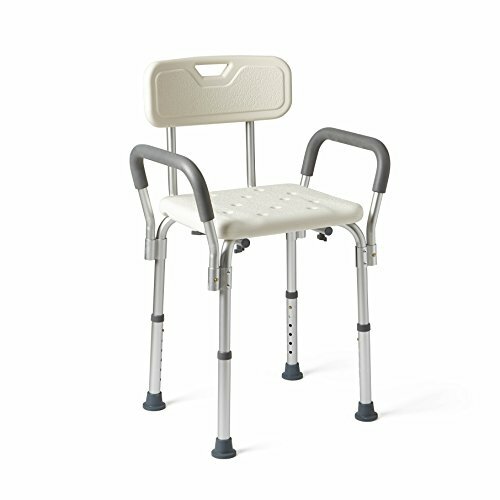 Bathtub stools, bath benches, and seats with removable and adjustable backs and arms are what you are in for when it comes to EVA Medical seats. Products tend to come in a sterile white color, and they are made from high-quality materials resistant to corrosion. Of our list of the top five shower chairs, our pick for the best one is the Moen DN7100 Shower Chair. Not only does it have a high rating and review, but it also has several different features that make this chair best for people with mobility and balance issues. From a comfortable seat to grips for balance and an adjustable back, it really does have everything going for it.Additionally, it isn’t a high price for a chair. In fact, it is in the medium range for all of those we listed. What makes this chair the best bath bench, however, is that it has a lifetime warranty. If it breaks, or if it has any sort of defect, you can send it in or get it replaced. This is a better warranty than what any of the other companies offer. 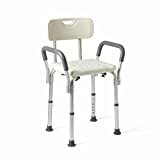 As caregivers, it’s important for us to choose the best shower chairs for our patients. We look at a variety of factors when it comes to deciding which are best and most suited for individuals with mobility issues. We want to make sure that showering is as safe as possible. We look at a variety of features. The more customizable the chair is, the more likely it is going to fit your lifestyle and needs. We also look into how easy it is to clean and how comfortable it is to sit in for any length of time. The other factors that we pay attention to are the cost and the rating of the product. Sometimes a higher cost will result in a higher-quality product. We make sure that the features are commensurate with the price. 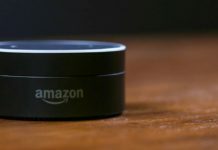 In addition, we try to track what people are saying. If there are too many complaints, then the shower chair will not make our list. 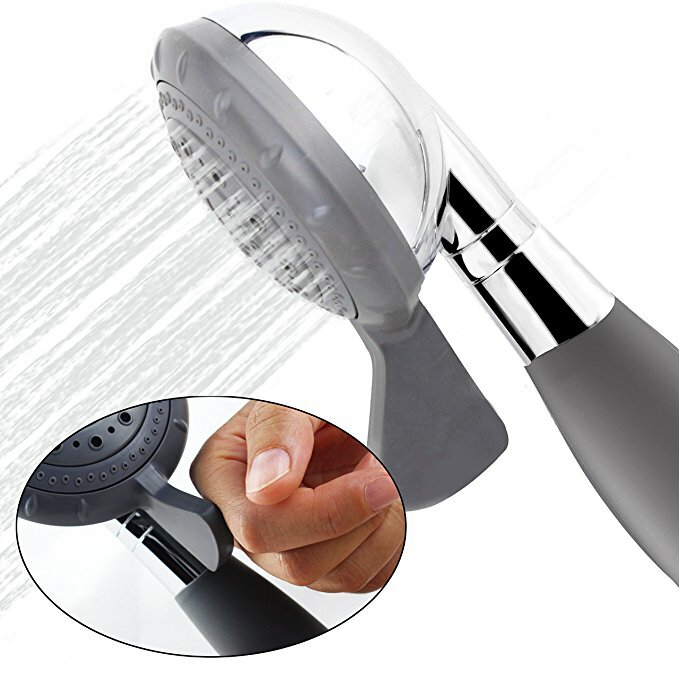 A handheld showerhead puts the water in your hands. When seated on a bath bench, you don’t have control over the showerhead. With a handheld showerhead, you can control the water no matter where you are seated. Even those without mobility issues can utilize a non-slip mat. For seniors, slipping in the shower is still a risk. A non-slip mat will ensure that you do not slip, even when you’re getting in and out of your chair. 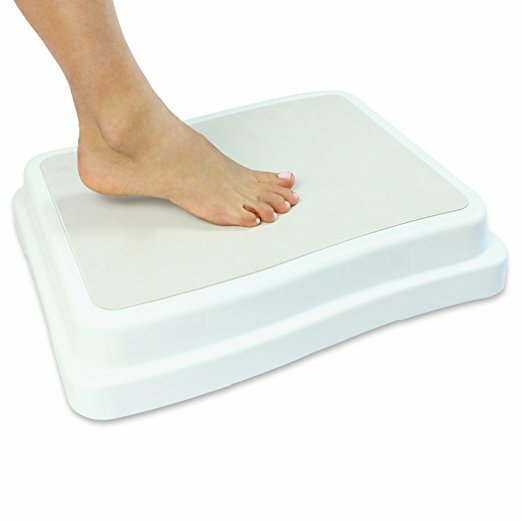 A nonslip bath step is great for people who have difficulty getting in and out of the bathtub. If you’re able to get in and out on your own, but still have difficulty, then a platform may certainly help. This is great for seniors and those in recovery. Bath benches are for your safety, so it defeats the purpose to utilize them in an unsafe way. This short list gives you an idea of how to use them. In addition to these tips, getting help from a caregiver can be beneficial. Use the handhold or grab bars on the wall and sit down in a careful manner. Do not quickly drop into your seat. Keep your legs outside of the tub as you scoot back in the chair. With one leg at a time, you should lift your legs and position yourself in the shower. Follow these steps backwards when you’re done in the shower. In most cases, shower chairs are imperative for the elderly or those with mobility issues. Good hygiene is never something that you should have to skip. If a fall in the shower is a real danger, then it’s important to eliminate the threat. Safety should always come first, and for many people, there is a real necessity for something to ease the risk of falling. Shower chairs do exactly that. With all of the adjustable options and price ranges, there really is a chair for everyone’s situation. 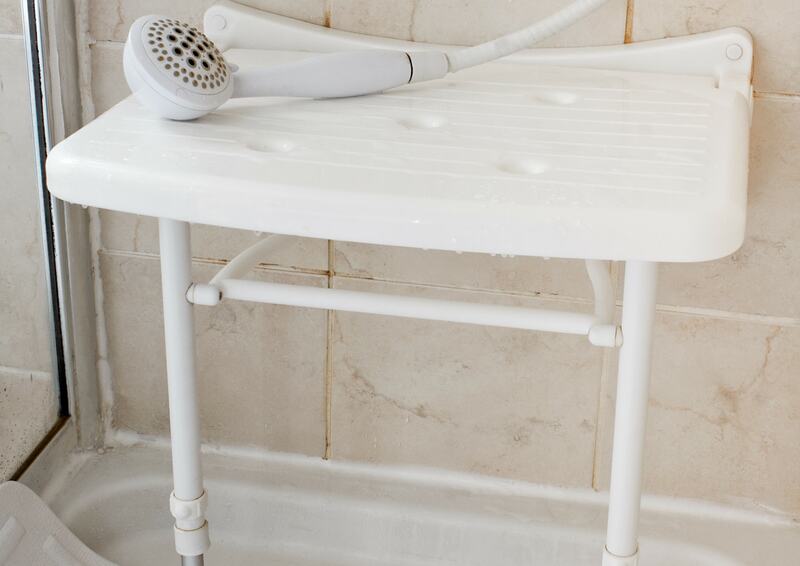 Whether you need something simple or more complex, a chair or bench can help so you won’t have to struggle with pain and the hassle of showering. Showering can still be the most relaxing part of your day, and something you can look forward to enjoying. Previous articleMET Rx Meal Replacement Review – Get the Nutrients You Need?